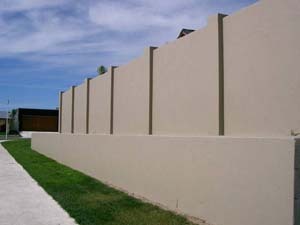 Panel Fences are constructed using 75mm thick Supercrete Panels located into reinforced concrete posts which are constructed using a steel formwork system. 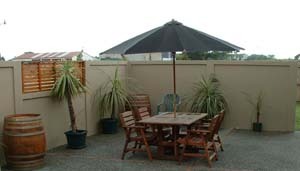 The fence system uses Panels 600mm wide x 2400mm long which are suitable for all except very high wind zones. 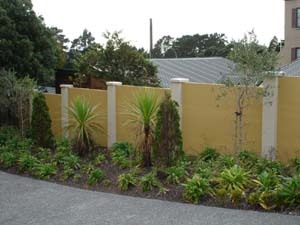 Supercrete Panel Fences have excellent noise blocking properties, are fast to construct and economical. 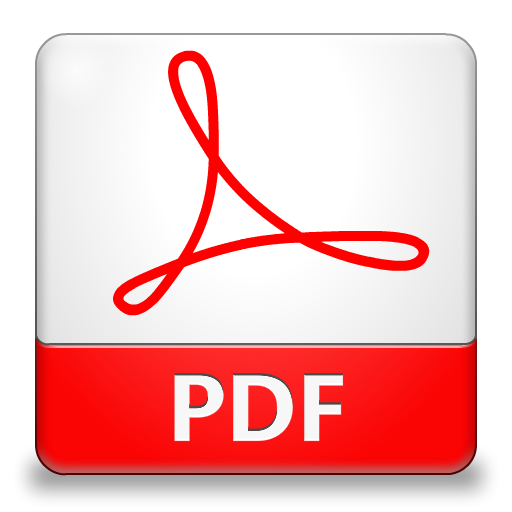 A number of standard or custom designs are available. Decorative features can be easily added when using this versatile and easily worked Supercrete material. The Supercoat Coating Systems provide a platinum finish for Supercrete fences with smooth or textured surfaces as desired.